It’s just before dawn, and the mountains all around you are tranquil. You can tell it’s going to be a glorious morning, and you feel the call of a new day’s adventure just waiting to begin. It’d be sweet to sit out on the rocks with your morning coffee and watch the sun come up… but your tent is so deliciously warm, in contrast to the biting cold of the mountain air just outside. Instead, you withdraw further into your cocoon and tell yourself you’ll catch the sunrise some other time. We’ve all been there, but for hikers who are particularly sensitive to the cold, the onset of frigid weather can mean more than a little inconvenience and a missed sunrise or two. Take me, for example. Not only do I naturally run cold, but I also have Raynaud’s syndrome, a circulatory condition affecting the hands and feet. 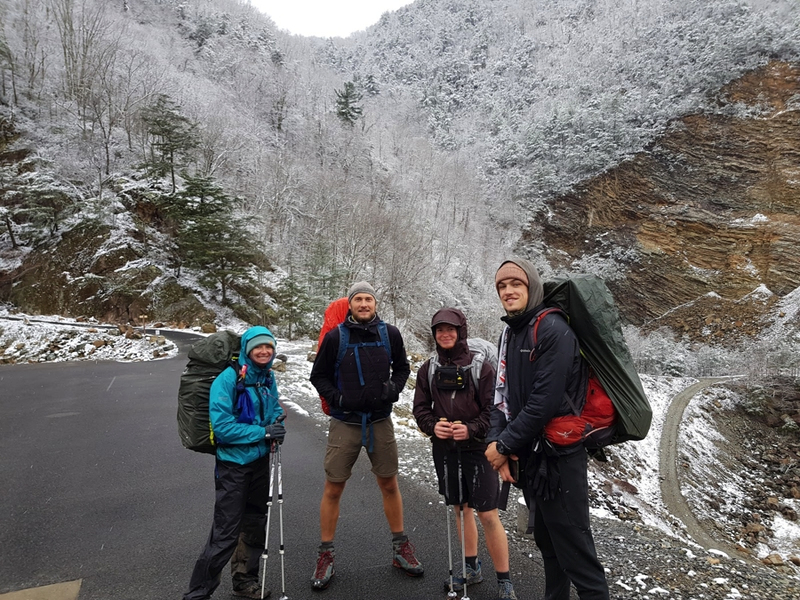 When I thru-hiked the Appalachian Trail, I got caught out in a hurricane and ended up with hypothermia and bloodless, frozen extremities. My hands and feet became so numb that my balance was affected; other hikers had to help me with basic tasks such as unbuckling my pack and zipping my jacket. I had the shivers for days after. I never want to be that cold again, so through trial and error and countless miles on the trail, I’ve gradually learned what gear items and techniques are effective in keeping me warm. Below I’ll share some of my favorite tips and tricks to keep even the most cold-prone hikers warm and safe when temperatures drop in the backcountry. 1. Beef up your sleep system with a liner. A sleeping bag liner can add warmth to your sleep system for a lot less money than the cost of a brand new four-season bag. I like the Sea to Summit Thermolite Reactor Extreme. This model adds up to 25 degrees of warmth to the rating of your bag. When choosing a liner, look for one with a high warmth rating. It should also have a drawstring to minimize cold air circulation around your body while you sleep. Your stove will be one of the most important tools in your toolbox when it comes to getting and staying warm in the backcountry—and if hypothermia comes knocking, it could literally be a lifesaver. For starters, cook yourself a warm, fatty meal right before bed. The extra calories will help you stay warm as you sleep. You can also use your stove to heat up your drinking water each morning and night. Drinking hot water does wonders for your core temperature and makes it easier to stay hydrated. This is extra important when it’s cold out because dehydration increases your risk of hypothermia. 3. Save your fingers. Use gravity water filtration instead. Squeeze-filtering your water can be a wet, cold affair. Why not save yourself the numb fingers by gravity filtering instead? I like the Sawyer Squeeze with the double female attachment for this purpose. I hook up a CNOC Vecto bladder to one end and a SmartWater bottle to the other, hang it from a nail or a tree branch and let it go to town while I set up camp. 4. Carry a pee bottle and an FUD. Getting out of your warm sleeping bag to pee in the middle of the night is a drag. But don’t resist nature’s call. The energy your body is expending to heat the contents of your bladder would be better spent keeping you warm. With the help of an empty Gatorade bottle and, for the ladies, a female urinary device (FUD) such as the SheWee, you can take care of business in the warmth of your tent. Just make sure you practice with your FUD a few times before you try it inside the tent. As a special bonus, you can then stick your (tightly sealed) warm pee bottle in the foot of your sleeping bag to keep your feet nice and toasty. 5. Plan for the cold in your emergency kit. Chemical hand and toe warmers, a fire starter, and a space blanket are all great additions to your first aid kit if staying warm is a top concern for you. It’s good practice to have several energy gels or honey packets on hand for emergencies, too. These can help temporarily revive you when you’re feeling cold and weak. Your body will break down the sugars quickly, providing a little burst of energy and warmth when you most need it. 6. Save personal hygiene for the daylight hours. I try to keep it classy even on the trail. That means I always make sure to brush my teeth and wash my face at least once a day. However, if you hate the cold as much as I do, I think you’ll agree that splashing cold water on your face just before bedtime is a non-starter. Instead, take care of your personal hygiene in the middle of the day when the sun’s shining and you’re already warmed up from hours of hiking. ZoomZoom, CPU, Legs, and Hot Sauce have all adjusted their layers to stay comfortable as they hike. At a minimum, wool base layers, a midlayer shirt and/or hooded hiking fleece, and an outer waterproof shell are a must for any backpacker. Add and remove layers throughout the day as needed to stay warm but minimize sweating. You should also have a complete change of dry camp clothes, including a hooded puffy jacket and thick sleeping socks. I wear gloves year round. During the warmer months, I like the Possumdown® brand for its dexterity and outstanding warmth-to-weight ratio. Pair them with Zpacks waterproof rain mitts or similar to ensure that your hands stay dry and toasty during storms. When the weather turns cold, I use the Possumdowns as liners beneath a thick pair of waterproof winter gloves. This provides extra insulation. Also, when I need to pull off the outer pair to perform fine motor tasks like tying shoelaces, the liner gloves protect my skin from direct exposure to the cold mountain air. 9. Don’t skimp on socks. In cold weather, I like to wear thick wool socks like Darn Tough’s Mountaineering style. I buy the over-the-calf version so that I can protect as much of my leg as possible. If there’s rain or snow in the forecast, waterproof socks from a brand like SealSkinz can also help keep your feet warm. 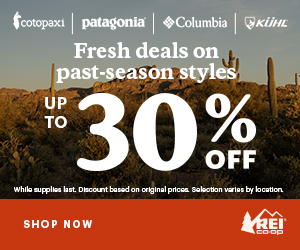 They’re a more versatile option than full-on waterproof boots. In a pinch, grocery bags over regular hiking socks will also do the trick. 10. Have a lumpy sleeping bag. On cold nights, your sleeping bag should be full of lumps because of all the gear you’ve stuffed inside to keep it warm. 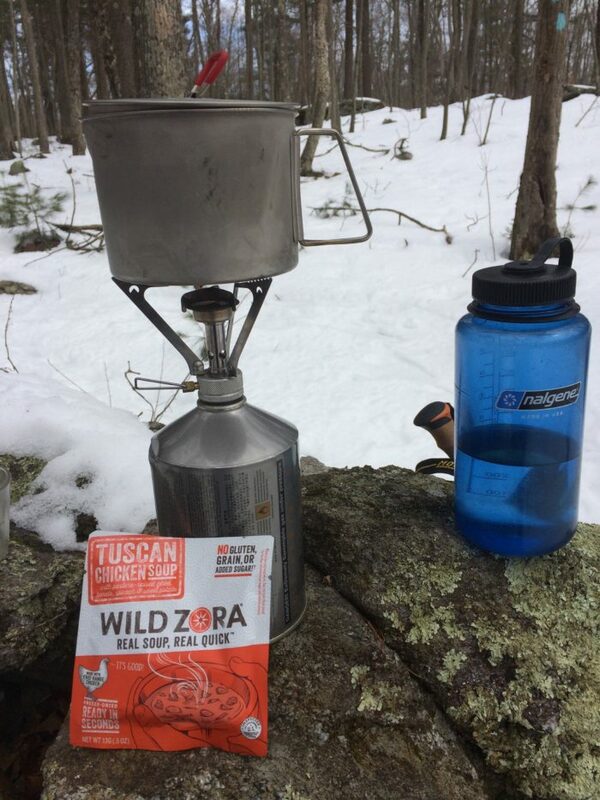 Imagine putting on ice-cold clothes and frozen boots first thing in the morning, then getting out of your tent to discover that you can’t make coffee or a hot breakfast because your cooking fuel and water filter are too cold to function. It’s not a fun experience. Sleep with your hiking clothes, boots, fuel, lighter, water bottle, and water filter on cold nights to keep them warm and avoid this fiasco. Disliking the cold doesn’t have to restrict you to only fair weather backpacking. With proper preparation, you’ll be able to stay warm no matter what Mother Nature has in store. 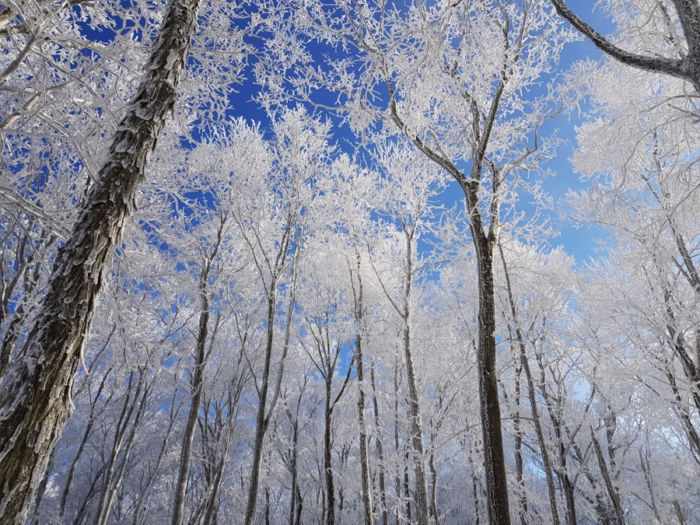 There’s beauty all year round, after all, so don’t deny yourself the magical experience of cold-weather hiking. Did I miss anything? If you liked this article or have advice for dealing with cold weather that I forgot to mention, please share your thoughts in the comments below. Thanks so much. Very informative. Also, you alerted me to some products I wasn’t aware of. Great advice. Having just spent multiple nights out on the AT with lows in the low 20s and highs in the low 40s, I understand your dilemma. And yes I woke up to a frozen Sawyer water filter, frozen water bottles, and a fuel canister that provided a flame with the warming power of a candle. I will be bringing them with me into my sleeping bag in the future! I am also using a wind shirt as an additional layer. I wear it over my shirts and fleece, and under a down puff. It also has a hood that I pull up in my sleeping bag. For nights that require maximum protection – cold with a wind – I set up my tent in the shelters. Works fine when you are the only NOBO flip flop thru-hiker heading out of Harpers Ferry and you have the shelters all to yourself. Great to hear from you, Jeff! I flip flopped the AT, too, and wouldn’t have it any other way. Love your comment about the wind shirt-what an amazingly warm item for so little added weight. You may know this already, but for anyone reading these comments, if your Sawyer freezes this can permanently damage the filter and you should replace it ASAP. Happy trails and stay warm out there! I might have missed it but hot water bottle in your sleeping bag can save you. Carry an extra canister for boiling water. Smart water bottles melt so use Nalgene, platypus etc.